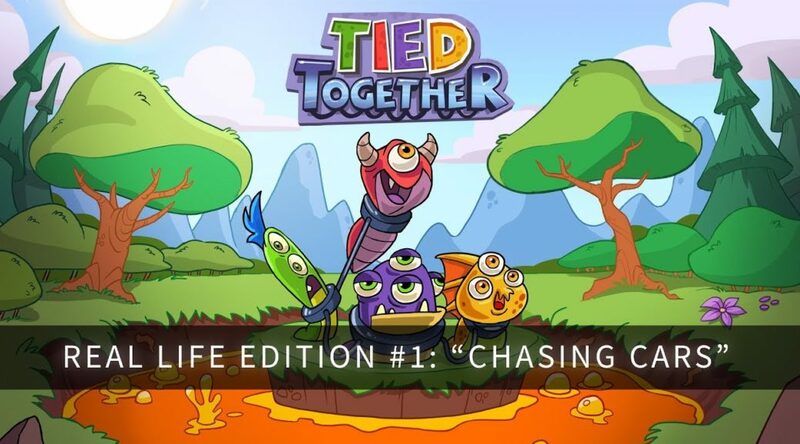 Headup Games has published the first episode of the Tied Together’s “real life edition” video series. Tied Together is a multiplayer party game hitting Nintendo Switch on October 19. In the trailer, you can see how the game is like in real life, acted out by Headup employees. Headup does not take responsibility for any injuries sustained while attempting to pacify the escaped specimens / employees. Furthermore, Headup confidently objects any claims or statements made by the escaped specimens / employees concerning inhumane or oppressing working conditions at Headup HQ – all employees took part in the project of their own free will and in contrast to any potential depictions made by the employees, were not at any point in time threatened, coerced, drugged or physically / mentally / emotionally manipulated into agreement. Tied Together will come to Nintendo Switch™ on October 19. You can find it already now on the American Nintendo eShop! Single players don’t even stand a chance to handle the scientists’ challenges. Also, it’s a lot more fun to play with friends instead of playing alone, right?!? As a team you have to coordinate movement, jumps and cling to the ground and walls to complete the levels and stay alive. That’s not as easy as it sounds, but all the funnier! And every time your monstrous cooperative skills are not enough it will end up in great chaos – and great laughter. Play our award-winning and fun, local co-op 2D party game! Tons of cooperative and non-violent fun for the whole family – from child to granny! Finish levels as fast as possible to earn Gold, Silver or Bronze rankings based on your time!